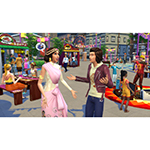 "City Living will be one of the most immersive packs we’ve ever undertaken, giving players a fresh take on what can happen when these suburban Sims are now living in the city"
REDWOOD CITY, Calif.--(BUSINESS WIRE)--Get ready to send Sims to the city this Fall! Today, Electronic Arts Inc. (NASDAQ:EA) announced that The Sims™ 4 City Living Expansion Pack* is coming to PC and Mac November 1st, 2016. Developed by Maxis, City Living will expand the The Sims™4 with a new world for Sims to explore. 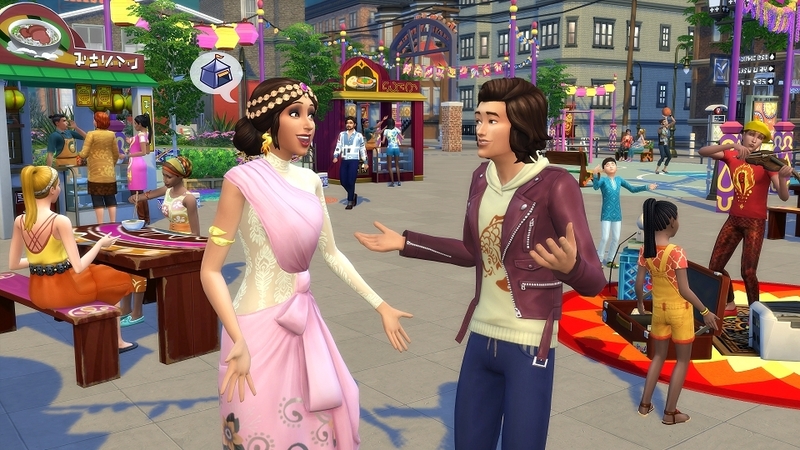 Players can discover everything the bustling city of San Myshuno has to offer, from the noisy neighbors and landlords that come only with apartment living, to exotic flavors and new destinations Sims can find just outside their door. Players can help their Sims work their way up from a starter apartment to a penthouse, while trying one of three new metropolitan-themed careers, including Politician. Visit or live in one of the four unique neighborhoods, join in a series of dynamic street festivals, and rock out at the new Karaoke bar. Not to mention, Sims can also enjoy new activities at home or out on the town, ranging from playing with a new video game console, to mural painting, basketball, and more! The Sims™4 City Living Expansion Pack is rated T for Teen by the ESRB and is available for pre-order for $39.99 on PC and Mac via TheSims.com. For more information about The Sims™4, follow @TheSims on Twitter, Like The Sims on Facebook, and visit The Sims homepage. *REQUIRES THE SIMS™ 4 GAME (SOLD SEPARATELY) AND ALL GAME UPDATES TO PLAY. The Sims is a world-renowned interactive entertainment phenomenon that has entertained hundreds of millions of people across the globe for more than 15 years. The Sims empowers players to play with life by creating virtual people, customizing their worlds and ruling their lives. The Sims has one of the most active player communities in the world with more than 20 million fans across social channels. Within The Sims 4, players have been creating and sharing content that has been downloaded 80 million times in the past year. The Sims embraces life in all of its dimensions, continually adding new ways to play through gameplay innovations, collaboration with top brands and artists, and exploring new gaming platforms. For more information about The Sims, visit www.TheSims.com. Electronic Arts (NASDAQ:EA) is a global leader in digital interactive entertainment. The Company delivers games, content and online services for Internet-connected consoles, personal computers, mobile phones and tablets. EA has more than 300 million registered players around the world. In fiscal year 2016, EA posted GAAP net revenue of $4.4 billion. Headquartered in Redwood City, California, EA is recognized for a portfolio of critically acclaimed, high-quality blockbuster brands such as The Sims™, Madden NFL, EA SPORTS™ FIFA, Battlefield™, Dragon Age™ and Plants vs. Zombies™. More information about EA is available at www.ea.com/news. EA SPORTS, Battlefield, The Sims, Dragon Age, and Plants vs. Zombies are trademarks of Electronic Arts Inc. and its subsidiaries. John Madden, NFL and FIFA are the property of their respective owners and used with permission.